One race will take just a few minutes. You will want to play several rounds, depending on the age and interest of your students. You many want to have some more difficult rounds that will take more time, such as crawling instead of running, or walking with a ball between the knees. You can make the race as long or as short as you want, and you can play either indoors or outside. 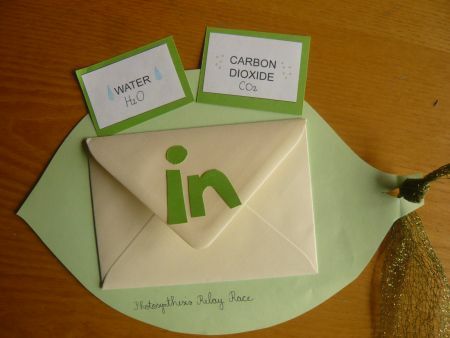 Two pieces of green construction paper, four envelopes, a copy of one pattern page, two flashlights and a large enough place to play.